When contemplating relocating your business, there are many factors to consider. How can a move benefit your business? What are the possible drawbacks, and how can you handle them? Moving is always a complicated venture. However, business moves can be particularly difficult, especially because of the high risks involved. There are numerous reasons to relocate your business, but it could backfire if you don't handle the transition correctly. To keep your business successful, retain your current customers and attract new ones, figure out if a business relocation is right for you. The following pros and cons of business relocation will help you decide if moving your business is a good idea and how to handle the transition successfully. Pros: How can relocation benefit your business? Location, location, location. Probably one of the best reasons to move your business, your location can make or break your company's success. If your business is in an area that's deteriorating due to a high crime rate and vacancies, relocating will have a positive impact. Additionally, if you are in the service industry and depend heavily on current client relations, it's important to consider whether your new location will facilitate continuing those connections. Many business change locations to attract a larger customer base when sales are down. Depending on your intended demographic, switching neighborhoods increase your business's profits. Additionally, relocating to a region with trained professionals seeking work in your industry could benefit your business greatly. Moving to facilitate your relationships with your vendors can be helpful, too. The most important thing to remember when relocating your business is making your customers aware of the move. Use every resource at your disposal. Social media is an excellent tool to keep your customer base notified and up-to-date throughout the moving process. Using an email newsletter or a mailed postcard is also effective. Update all of your online and networking listings with your new address as well as on your professional email signature. 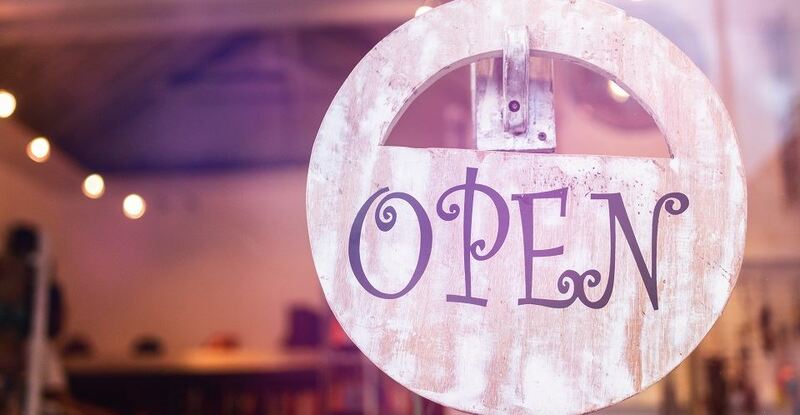 TIP: Depending on the nature of your business, a grand opening event can draw attention, encourage patronage from your old customers and attract many new ones. The ceremony should include prize giveaways, free food, decorations and a traditional ribbon-cutting. If you operate in tight quarters, moving to expand your business' size is often a helpful tactic for increasing success. Depending on the nature of your business, additional space will enable you to display your products more effectively, perform additional services, or add new equipment to your office. Is rent sky-high in your current location? Relocating your business to a region with lower costs for rent, utilities and other expenses will help you cut spending and increase profits. Just be sure your new location's reduced rent and other costs are not due to a poor economic base in the region. Cons: How can relocation hurt your business? When your business is in transition, the disruption to production can hurt your profit. To overcoming this hurdle, you may continue operations at both locations during the move. Hiring professional movers will also streamline the process so you can get your business up and running at your new location quickly. TIP: The best way to move without disturbing normal operations is during off-hours. It will minimize customer confusion if your business remains open during your regular operating hours. Depending on your business, opt to conduct your move at the end of the workday, over the weekend, on a federal holiday or during off-peak season. Moving your business can disrupt current customer or client relations. Customer retention is essential to keep your business running successfully during your transition. Be sure to communicate every step of the relocation process and inform all of your clients, vendors and customers about your new location, operating hours and any other changes. TIP: Use offers and incentives like coupons, discounts and other deals to encourage customers old and new to check out your new location. Loyalty programs -- such as a stamp-card that rewards patrons with a free product or service after 10 paid ones -- are particularly effective, because they encourage the customer to return. Moving can be expensive, so be sure you are able to handle all of the added costs. Hiring professional movers specializing in corporate relocation is the best way to ensure your business move is completed quickly and efficiently. You may also be eligible for grants for job creation to fund your moving costs--corporate moving services can often provide information for these financial options. If you are moving your business long distance, you will have to uproot and relocate your family. Your spouse and children may not be fond of the idea--especially if they have jobs or schools they adore in your current city. Getting your family on board with the move is an important factor to consider--while you certainly want what is best for your business, you also want what is best for your loved ones. Be sure to emphasize all of the reasons why the move will benefit your business as well as the family as a whole. To retain your customer base and minimize disruption to your operations, your move should be completed as efficiently as possible. Hiring professional movers to handle your business relocation will ensure it is completed in as little time as possible. Additionally, corporate relocation specialists will use the proper materials, equipment and procedures to minimize costs and have your business up and running in its new location as quickly as possible.